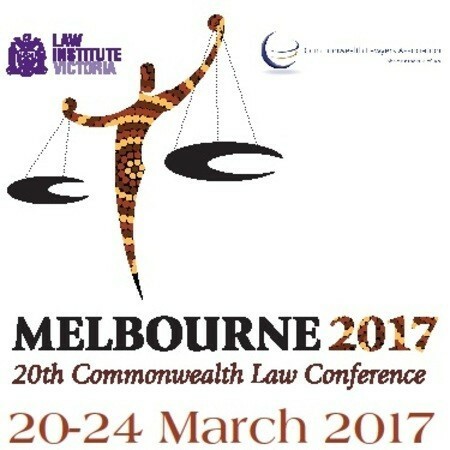 The 20th Commonwealth Law Conference will focus on current trends in Corporate and Commercial Law; the legal profession; the rule of law, and other contemporary legal topics. The Conference theme: “Thriving in a Global World: Building on the Rule of Law” presents a unique canvass to consider legal issues in our globalised world that both innovate and challenge lawyers practising today. The Conference sessions will focus on current trends in Corporate and Commercial law; the legal profession; the rule of law, and other contemporary legal topics. It is the ideal venue to meet and discuss with professional colleagues topics relevant to your professional area of interest. During the conference, 3rd Commonwealth Rule for Law award in conjunction with LexisNexis will be announced and a range of exhibitors will provide further information and services of interest to legal professionals. Don’t miss the opportunity to join peers and key opinion leaders in Melbourne, Australia, 20-24 March, 2017.